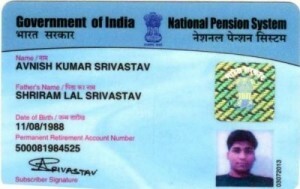 People who have joined the national pension scheme will be familiar about the PRAN card. You can find out how to open nps account at a number of places. The guide offers a walkthrough on the PRAN card. The guide will teach you how to track the NSDL PRAN status at cra-nsdl.com. In this guide, you will get familiar with the NSDL PRAN application form and learn how to apply for the card online. The government has rolled out the NPS retirement saving scheme in 2004. Anyone who took up a job in the government sector in India after 1/1/2004 will receive a PRAN number. All government workers will be automatically enrolled into the NPS. Besides government workers, Indian citizens that are in the age range of 18 – 60 years old will be qualified for the national pension scheme. Anyone who have participated in the NPS scheme will receive a PRAN number. You can go online to check the status if you have applied for PRAN card but haven’t yet receive it. The tracking page for checking the PRAN status can be accessed at the official CRA NSDL site. PRAN is an abbreviation for Permanent Account Number. Everyone who has the PRAN card will be issued with a unique 12 digit number. You will receive a PRAN kit when a NPS account is opened for you. PRAN card contains important personal information such as name of the subscriber, name of the subscriber’s father, a small photo print of the subscriber, and signature and thumb impression of the subscriber. The personal information on the PRAN card is similar to the record stored in the central record keeping agency (CRA of NPS). Tracking the status of a PRAN card is similar to tracking PAN card status and only people who have retired will hold the card. You must present the PRAN card if you want to activate Tier II. After you have applied for the NPS account, the generated PRAN number will be sent to your email and SMS inbox on your mobile phone. The PRAN number will be automatically generated after you have submitted the application form and make payment for the fees. The following is the step by step instructions on how you can go to the CRA-NSDL site to track the PRAN status. 2. Select the value added services option, which is the second last option. 3. There are a number of options here. You are to click on Track Status of PRAN for regular NPS. 4. Tick the new registered PRAN checkbox if you want to track a PRAN card status that you just recently registered. 5. Type in the PRAN number into the appropriate field. Your PRAN card will be sent to the nearest office branch within 20 days after you have applied for the NPS account. You can call the telephone number of your nearest office to check the status of your PRAN card application. You can continue to read this post to learn how to apply for PRAN card online. Senapati Bapat Marg, Lower Parel (West), Mumbai – 400 013. Those who work for the central and state government sector can submit an application for the PRAN card online. You can click on the following NSDL portal link to submit the PRAN card application online. Clicking the above link will take you to the page where you can apply for the NPS account online. You are to fill in every field in the form and submit the payment for the first contribution to the NPS account. It will quickly generate the PRAN number. After you have submitted the PRAN application, you must wait for 20 days for the PRAN kit to arrive. More information about the PRAN card online application has been given here. It is recommended that you follow the steps outlined in this guide to track the NSDL PRAN status if you did not receive the PRAN kit after many days of waiting. There are many workers of the government sector that have applied for PRAN card and waiting for it. OROP soldiers should also apply for the PRAN card. You need to apply for Aadhar card or PAN card to apply for a NPS account. You can learn about the status of your Aadhar card or pan card online. On our blog, you can also read the post about how to check uidai status and aadhar card status. You can share this post with your friends if they have also applied for the NPS account.